Hi. I’m Steve Jeffries and as well as being the Project Manager for the new Defence Technical Training College at MOD Lyneham, about which I've already blogged, I’m also the Team Leader for Project WINFRA. WINFRA is an exciting and ambitious project which will enable Royal Naval Air Station (RNAS) Yeovilton to become the new home for the Army’s Wildcat Attack Helicopter Force. 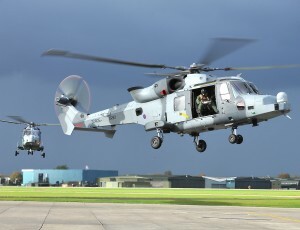 Once the project is completed it will provide the necessary infrastructure to locate the Army’s Wildcats in the same base as the Royal Navy’s. 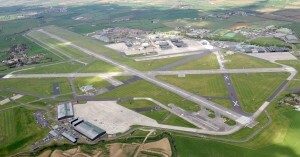 It will also deliver efficiencies as a Main Operating Base. Originally a single project, WINFRA was broken down into a series of smaller discreet contracts to meet Defence timelines. I joined the WINFRA team in November last year and my main role has been to guide the contracts through the appropriate process. Work is already underway to deliver the new infrastructure and the first facilities are due to be completed in March 2015, when the helicopters will arrive. Let me tell you about how the project is progressing so far. 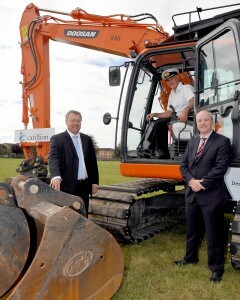 WINFRA is now delivering four major projects with a value of between £8 million and £52 million. Three of them are currently underway and involve the demolition and new build of a three storey Squadron Office Block; the refurbishment of technical facilities and the building of a new Quarter Master’s stores, a Motor Transport Garage and Secure Garaging. The contract for the fourth and final project – which will involve building a new Senior Rates Mess with associated Single Living Accommodation (SLA), cardiovascular fitness suite, Dental Centre, and the refurbishment of the current Medical Centre – has now been awarded. This momentous date in the project was marked with a turf-cutting ceremony at the site yesterday. When the demolition, refurbishment and building work is completed on the site RNAS Yeovilton will be a fantastic base for the Royal Navy’s and Army’s Wildcat Forces. The WINFRA team is really proud of the contribution we’re making to the Armed Forces – DIO’s purpose is to support the Armed Forces by providing what they need to live, work and train - the right facilities in the right place - and this project certainly meets these requirements!